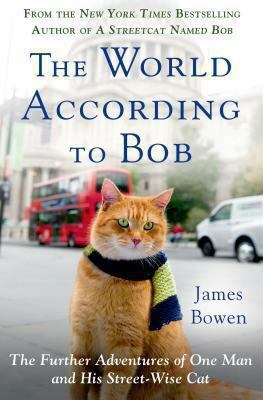 James Bowen and Bob are back in The World According to Bob –a touching and true sequel about one man and the cat that changed his life. As James struggles to adjust to his transformation from street musician to international celebrity, Bob is at his side, providing moments of intelligence, bravery, and humor and opening his human friend’s eyes to important truths about friendship, loyalty, trust – and the meaning of happiness. In the continuing tale of their life together, James shows the many ways in which Bob has been his protector and guardian angel through times of illness, hardship, even life-threatening danger. As they high-five together for their crowds of admirers, James knows that the tricks he’s taught Bob are nothing compared to the lessons he’s learnt from his street-wise cat. There’s lots of bicycling in the news this week – RAGBRAI (Register’s Annual Great Bike Ride Across Iowa) is at the halfway point and the Tour de France will finish on Sunday (can Lance Armstrong pull off his comeback?) Keep the bicycling theme going and check out the movie Breaking Away, one of the best sports movies ever made. Set in the college town of Bloomington, Indiana, four friends are caught in limbo after finishing high school, not know what they want to do next. The college kids derisively call them “cutters” (for the stone quarry where most of their blue-collar fathers work). Dave escapes into his dream of becoming a bicycle racer for the world champion Italian team by training rigorously and even learning to speak Italian (much to his father’s chagrin). After one dream is shattered, an unexpected opportunity opens when a local team (the “Cutters”, led by Dave) is allowed to compete in the famous Little 500 bicycle race at Indiana University. What follows will have you cheering for what’s possible against impossible odds. 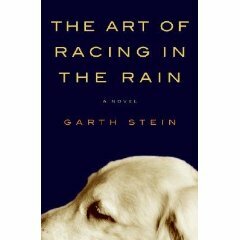 Loosely based on a true story (there really is a Little 500 race at Indiana University) this heartwarming (in the best sense) movie is more than a story about a bicycle race – it’s also about family and home, about loyalty and friendship, about accepting and embracing change, about finding your perfect place in the world. Beautifully acted (Dennis Christopher, Paul Dooley, Daniel Stern, Dennis Quaid, Jackie Earle Haley, Barbara Barrie) this inspiring film will make you laugh, cry and cheer.